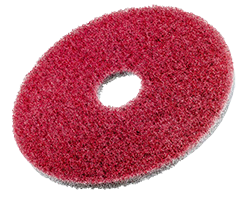 Twister diamond floor cleaning pads present a revolutionary method for everyday machine cleaning of any type of floor – completely without chemicals. It’s the easy, cost-efficient and environmentally friendly approach to professional cleaning, producing outstanding and long lasting results. Twister is a floor cleaning method where everyone benefits. Twister delivers better results at a lower cost, creates safer work environments and is more environmentally friendly than traditional floor cleaning methods. Altogether, this creates more satisfied customers and employees. 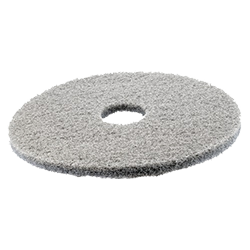 The flexible Twister floor cleaning pads are impregnated with billions of microscopic diamonds that clean and polish the floor at the same time – completely without chemicals. All you need is water. 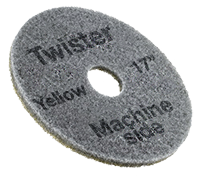 Twister is the simple, cost-effective and user friendly solution for daily machine cleaning of floors. As Twister diamond pads and water is all you need to produce clean and shiny floors you will save both money and the environment. Thanks to the results Twister produces, not only will the life span of the floors increase, but using Twister will also reduce your need for consumables. 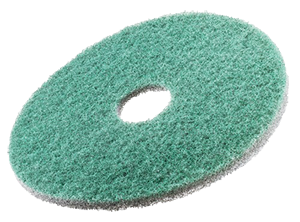 This diminishes your transportation and waste management costs related to standard daily floor cleaning pads and chemicals. If you want more information, contact us or read on about the benefits of Twister. The Twister revolution began in 1989 with a simple idea to present a cleaner environment and better, long-lasting cleaning results of floors than offered with traditional, chemical based cleaning methods. The solution was to use diamond technology to restore the floor to a smooth surface optimized for continuous daily cleaning with Twister diamond pads.